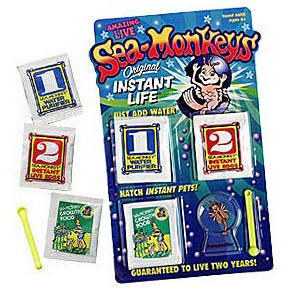 Sea Monkeys come to life as soon as you pour them in their habitat and stir them gently. You will be amazed at these little creatures and how easy it is to help them grow. The nearly double in size the second day in their habitat. Kids are amazed when they pour our crystals and a few seconds later, baby sea monkeys emerge. You won't be disappointed.